Directed by Gauravv K. Chawla, Baazaar is all set to release this coming 26th October. Therefore, Saif Ali Khan along with Radhika Apte came together in Delhi for the promotions of their upcoming flick. Along with them debutant Rohan Mehra, actress Chitrangada Singh was also present for the same. They revealed the uniqueness of their film while interacting with Delhi media in a press conference held at Cinepolis, DLF Place Mall, Saket. The entire team seemed highly confident for their upcoming business crime drama film. Written by Nikkhil Advani, Aseem Arora and Parveez Sheikh. 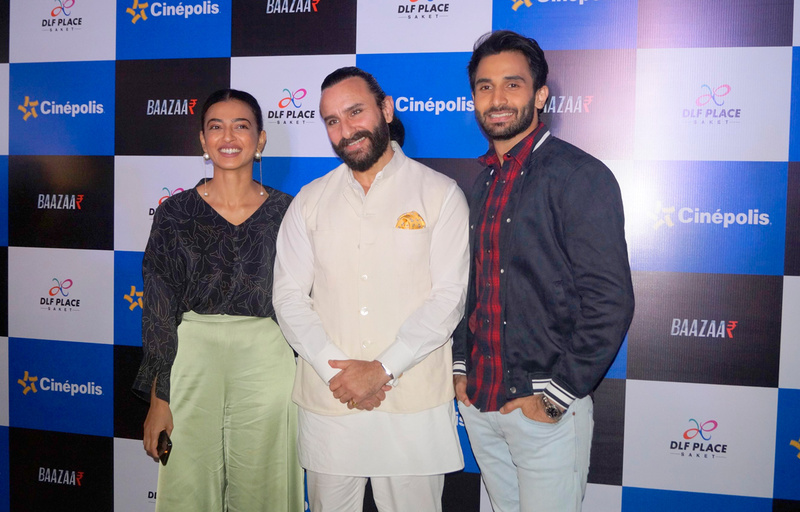 Featured under the banner of Viacom18 Motion Pictures, Kyta Productions, Emmay Entertainment, Baazaar is set in the backdrop of money, power and business, largely based on the Stock market.